SOLD OUT! Watch the VIDEO! Days With You is the newest record in a series of collaborative projects. Only 1,111 numbered copies of this disc will ever be made. 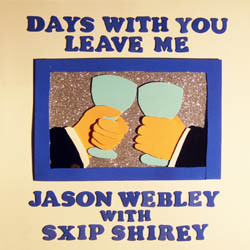 All songs (C)2009 by Jason Webley and Sxip Shirey.